The iconic Kizu Table Lamp expands its weightless balancing act with the addition of a little sibling and a new finish. For those intimate spaces, the new Kizu Small Table Lamp provides the perfect measure of sculptural form and soft illumination. 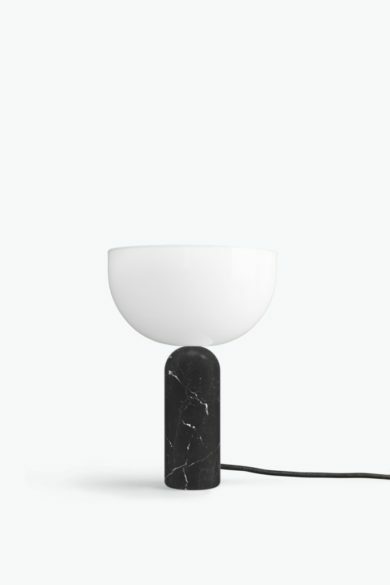 While the addition of a black marble base to the whole family further highlights the kissing point between bold form and floating radiance.